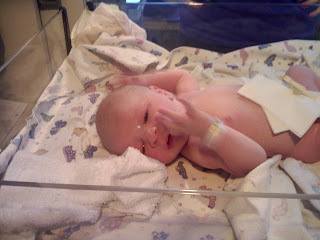 On June 1, 2009 at 5:13pm Colin Michael was born. Andrea had an amazing textbook perfect delivery. It was unbelievable. 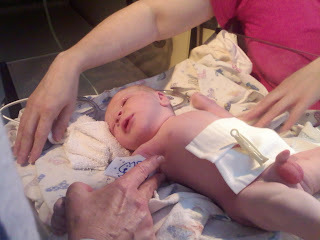 He was a little guy at 6lbs 12oz, but was perfectly healthy. 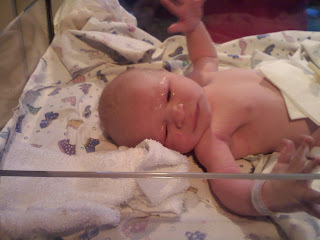 The funny part was she was scheduled for induction that day and went into labor herself at home in the morning. Mommy and baby have recovered great and are doing fabulous. Baby Colin is 1 month today and grwing like a weed! 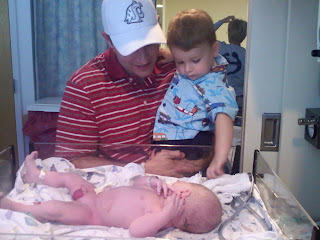 Dad introducing the brothers for the first time. 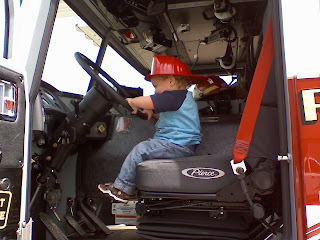 Once again it was time for the Hanford Expo. 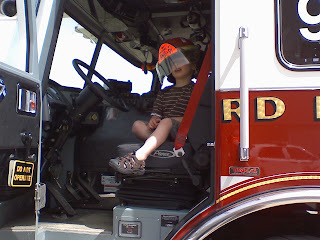 Charlie and his department got to put on a show on and the boys loved it. 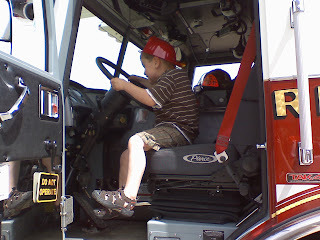 Actually they just loved going down and playing with all the equipment and trucks. 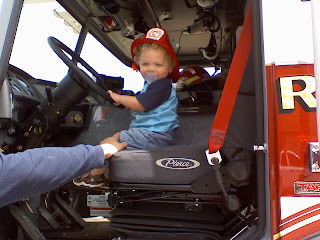 He's just a few pictures of them on the trucks.